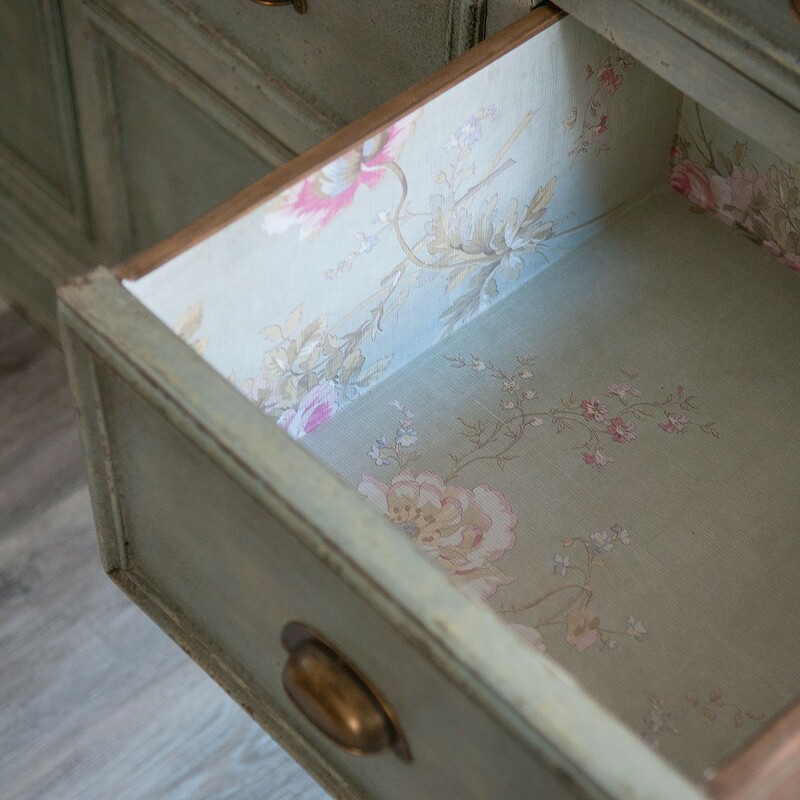 Never be short of storage space again! 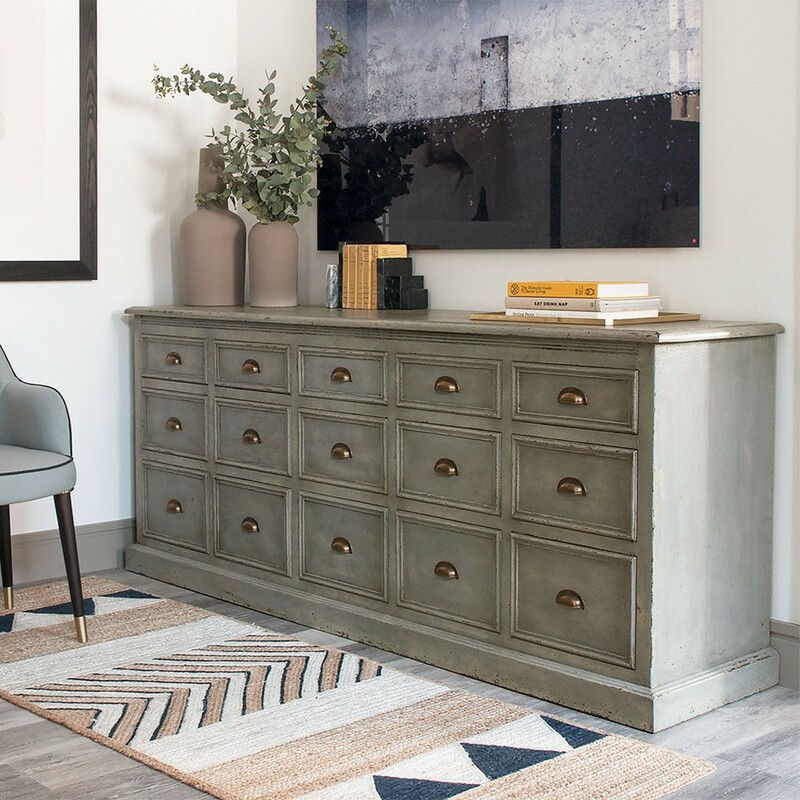 This large-scale, organic sideboard is the perfect home for all your bits and bobs. 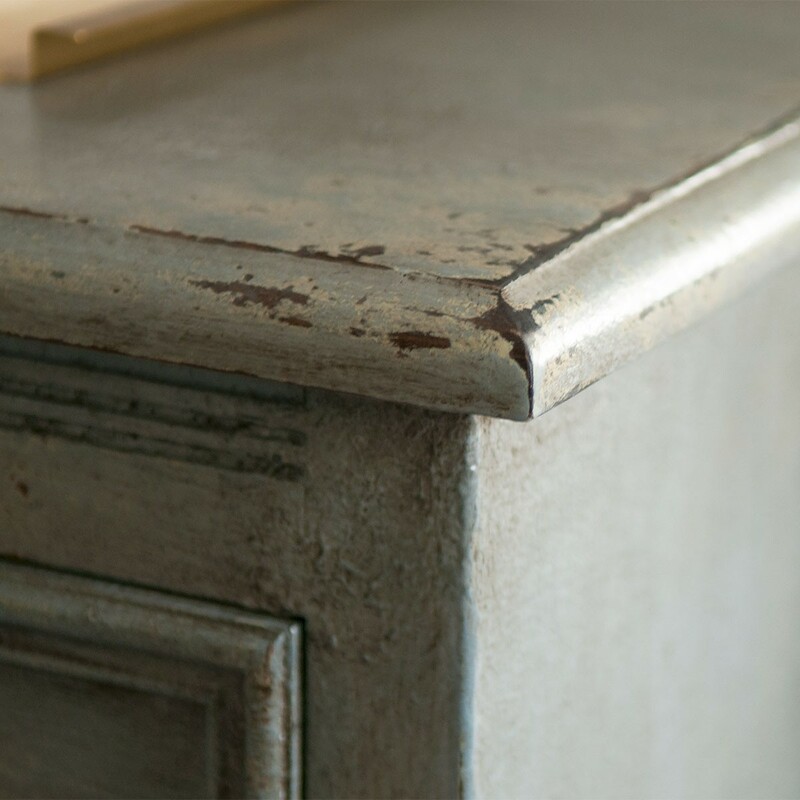 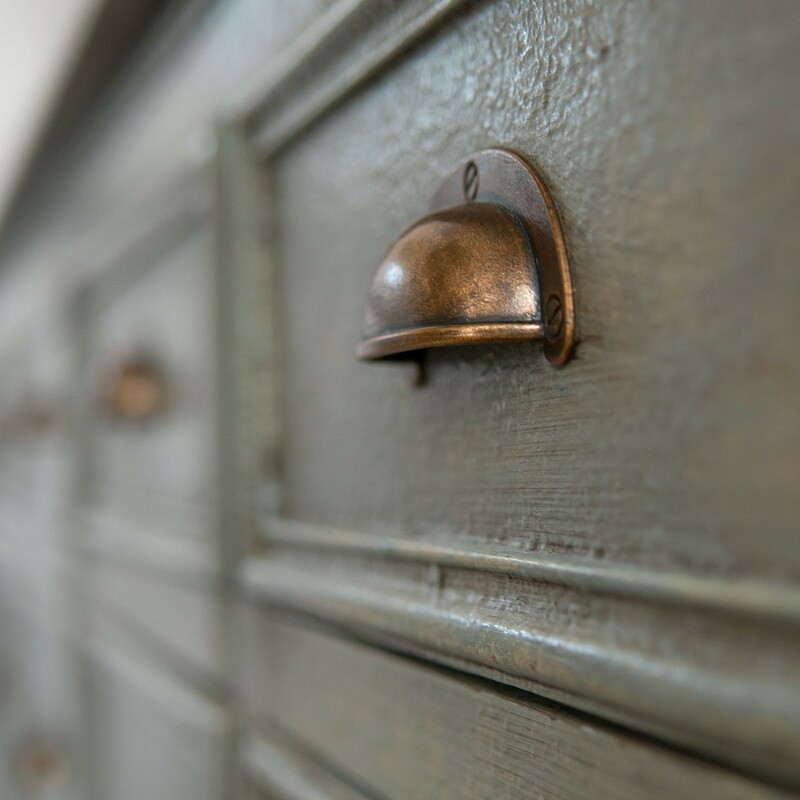 Grey paint has been rubbed back to reveal the timber beneath, creating an "antique" feel. 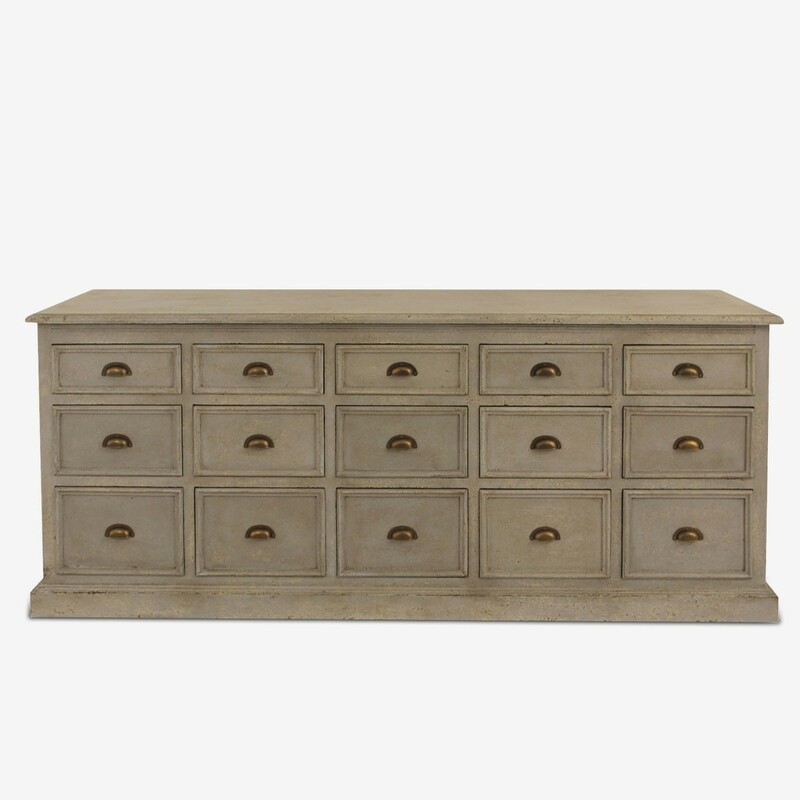 This piece makes it easy to add a practical yet eclectic touch to any room.